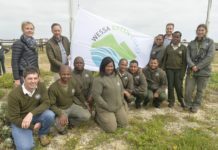 Learners and teachers from the greater Cape Town area and WESSA staff gathered recently to celebrate the 2017 achievements of 65 local schools participating in the international Eco-Schools Programme. 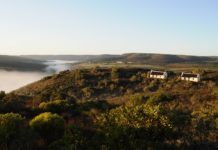 The event was hosted at Tygerberg Nature Reserve and included a walk in the reserve to view the endangered Renosterveld. Eco-Schools is a school-based environmental management, certification and sustainable development education programme of the international Foundation for Environmental Education (FEE). Eco-Schools aims to improve environmental management and environmental learning at schools by assisting them to grow and develop their environmental capacity. The awards presented at the ceremony were in acknowledgment of the participating schools meeting all the criteria for the Eco-Schools programme and for developing environmental action projects and learning programmes, which have improved their schools’ sustainability practices. From those that received recognition on the day included one school that received their “International Flag” for having successfully participated for five years in the programme, eight schools that received their “Decade Awards” indicating that they have been participating successfully in the programme for more than 10 years while 21 of the schools received their “Platinum Awards” indicating that they have been participating in the programme for six to nine years. 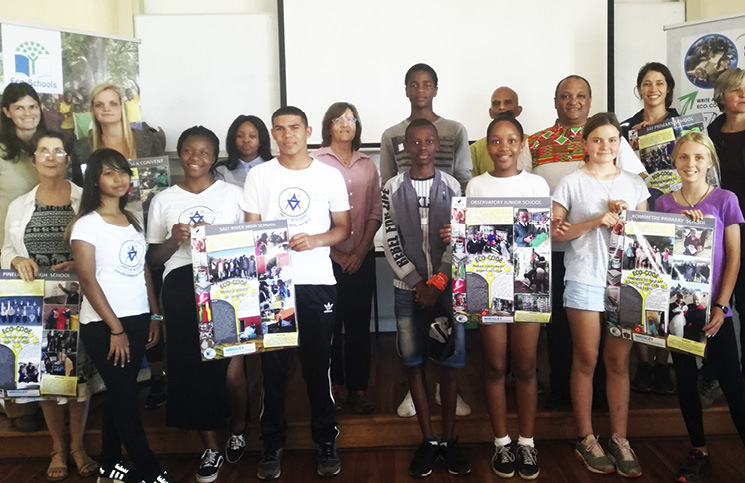 Eight of the Cape Town schools that received awards are supported through funding from the Wrigley Company Foundation, while 40 schools that received awards are supported by the Cape Town Environmental Education Trust (CTEET).